Robert has been with the SBEC team since 2013. 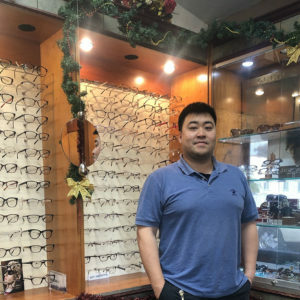 As an Optician, he specializes in frame fitting and repairs. With his vast knowledge of lens types and options, he is able to custom tailor lenses for your lifestyle needs. On his off time, Robert likes to go on long hikes and camping trips but will often return to his first passion, military exercises and simulations.